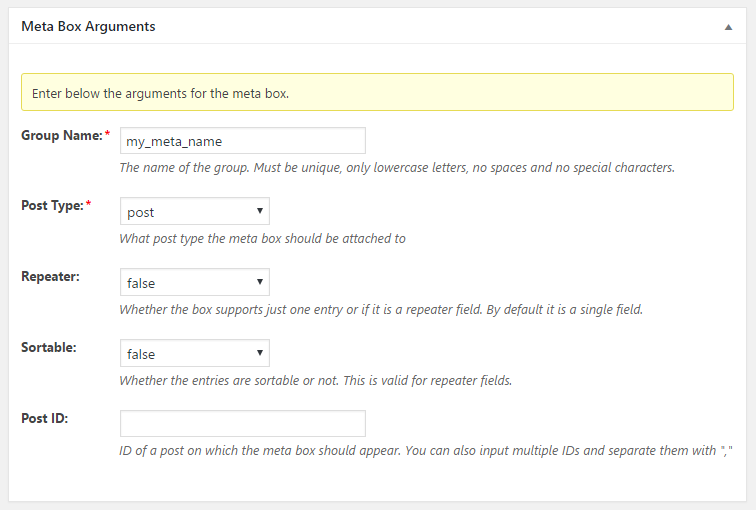 This Default Field Type is available in WordPress Creation Kit free version. 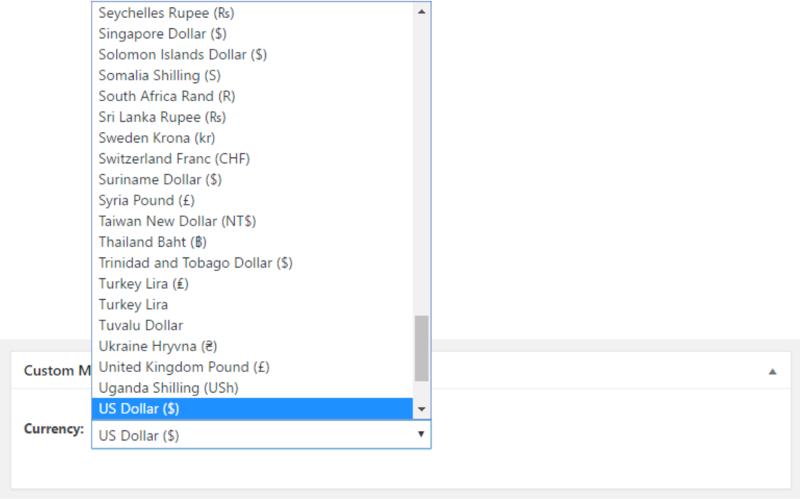 The Currency Select Field allows a currency to be selected from a dropdown list. 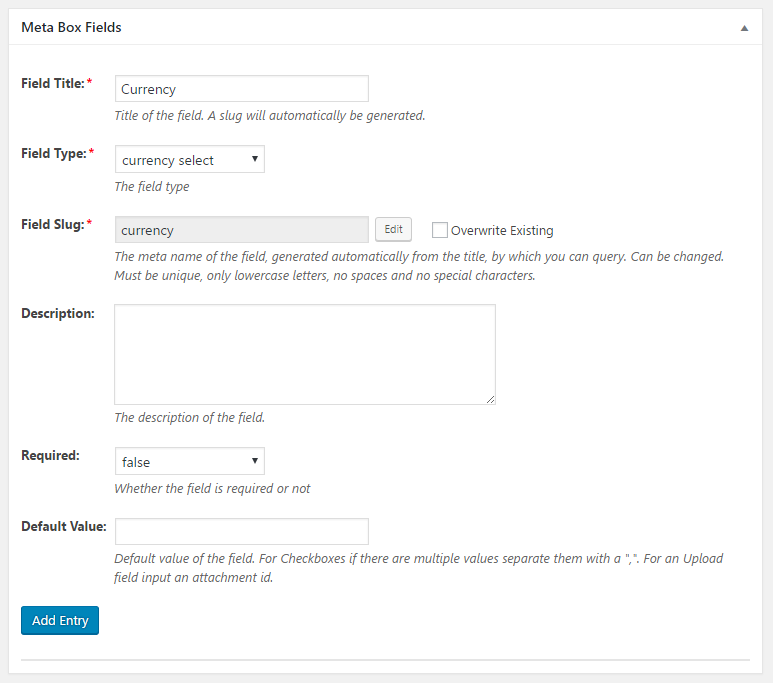 To add a Currency Select Field to a previously created Custom Meta Box, under the Meta Box Fields tab simply insert a Field Title and under Field Type make sure you select Currency Select. The Currency Field returns a string containing the currency code.